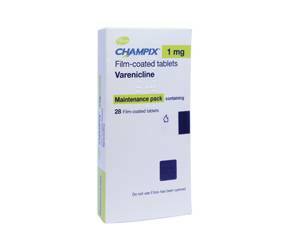 Champix is the trade name of Varenicline, a medicine designed to assist smokers in quitting their habit. By mimicking the physical effects of nicotine, it reduces the compulsion to smoke and also relieves the often distressing withdrawal symptoms that make many smokers return to their old ways despite being desperate to quit. Read on for more information about this widely used and effective medication. Champix is often used in association with counselling support and behaviour modification to help people quit smoking, rather than on its own. You take Champix daily in tablet form for seven days prior to the day you've set as your 'quit date'. The idea is that your body gets used to the medication by the time you quit smoking and move on to the tablets exclusively. It's important to understand that a will to quit smoking needs to be there already, and that Champix merely assists the body in weaning itself off the physical dependency of the tobacco by switching to a harmless alternative which will itself be eventually removed. Alternatively, instead of setting a quit date before embarking on the course, you can start taking the Champix before you set it, and then choose one that is anywhere between eight and 35 days later. Champix is a prescription-only medicine and cannot be bought over the counter at a chemist. Once you've reached the quit date, having taken the tablets daily for the previous seven days, you then continue taking it alone for 11 weeks. Take the tablet with water after eating, usually after breakfast and an evening meal. Many people find they're successful in their attempts to quit smoking after this treatment. For others, a further course of treatment may be needed, and your doctor may advise tapering off the dosage as an aid to quitting. Most people begin taking Champix with a 0.5mg tablet per day for the first three days. The same dosage is then taken twice daily during the following four days, completing the first week of build-up. At this point, after you've reached your quit date, you take a 1mg tablet twice each day for next 11 weeks. The complete course of treatment is typically 12 weeks. There are not many side effects associated with taking Champix. As always, however, carefully read the information accompanying the pack and be alert for any of the listed ones occurring to you, in which case seek medical advice. There is also a slight risk of heart problems developing. Panic attacks, hallucinations and feelings of anxiety, along with mood swings, irrational fear and increased aggressiveness, are all symptoms associated with giving up smoking. If they become invasive to your daily life then they should be reported immediately to your doctor as they are potentially dangerous both to yourself and others. If you are taking some other types of medication your doctor will need to be informed of these before prescribing Champix, as there may be adverse interactions between this and other drugs in the body. Of particular concern in this connection are anticoagulants and insulin. Other medications designed to help quit smoking, such as bupropion, as well as nicotine gum, skin patches, nasal sprays and inhalers should also be mentioned to your doctor. Also inform your doctor about any history of kidney disease or heart problems before taking Champix, or any problems with your pulmonary system. A history of depression is often an indicator that a drug such as Champix is not appropriate in your particular case, and if you're a habitual drinker of alcohol this will also have to be taken into consideration. There have been limited studies on the effects of drugs such as Champix in pregnant women, and these have not indicated any adverse issues in terms of foetal malformations or other harmful effects. It cannot be ruled out that Champix and related drugs can cause harm to a foetus. Equally, whether it passes into the foetal milk during breastfeeding is another unknown quantity and women are advised not to breastfeed when taking it. Generally speaking, the body is under such pressure during a pregnancy that it is not sensible to choose this time to start introducing unnecessary drugs of any description, but if in doubt always consult your doctor or other healthcare professionals. It is advisable not to drive while taking Champix, or operate complex machinery, as the medication can cause drowsiness. Also avoid drinking large quantities of alcohol with the drug, as it can change the ways in which alcohol affects you. Drink less than you would normally when you begin taking it to check its effects.